Remarkety is all about bottom-line revenue. We leverage your live data to execute smart and effective marketing campaigns. Our dedicated success managers will work with you to better understand your customers, segment them and send the right message to the right person at the right time. You can integrate your eCommerce data with social media and optimize your campaigns and budget as well. All in one system. With Remarkety you can send all your emails from one place, that includes your newsletters, campaigns, automation and transactional system emails. Huge improvement in ROI from email marketing since we switched to Remarkety- ROI tracking is not only built in, but a focus of the reporting dashboard, a solid indicator that this platform was built for ecommerce first and foremost - ROI tracking is complimented by the Google Analytics tracking which allows you to compare various attribution models and view overlap with other marketing efforts - Automatic proactive feedback on campaign performance based on industry benchmarks, along with suggestions on how to improve - Plenty of ways to segment and target customers, for both automated emails and newsletters - see support articles for full list or options - Very impressed with how seamless the integration with Magetno 1 is, by connecting through the Magento API they are able to retroactively segment customers (eg. make a new category with selected products in it, then target based on past sales of products in that category - also useful for excluding select products from some campaigns) - Built in templates cover a wide use case, but also easy enough to make and modify templates that work in the drag and drop editor - my content guys have had no issues at all using the wysiwyg editor - I was able to make our responsive email template from another platform compatible with Remarkety in a few hours. - ROI tracking is not only built in, but a focus of the reporting dashboard, a solid indicator that this platform was built for ecommerce first and foremost - ROI tracking is complimented by the Google Analytics tracking which allows you to compare various attribution models and view overlap with other marketing efforts - Automatic proactive feedback on campaign performance based on industry benchmarks, along with suggestions on how to improve - Plenty of ways to segment and target customers, for both automated emails and newsletters - see support articles for full list or options - Very impressed with how seamless the integration with Magetno 1 is, by connecting through the Magento API they are able to retroactively segment customers (eg. make a new category with selected products in it, then target based on past sales of products in that category - also useful for excluding select products from some campaigns) - Built in templates cover a wide use case, but also easy enough to make and modify templates that work in the drag and drop editor - my content guys have had no issues at all using the wysiwyg editor - I was able to make our responsive email template from another platform compatible with Remarkety in a few hours. Overall we love Remarkety! The software is simple to use and allows us to easily track how well its working with their analytics. Additionally, our dedicated support rep has been excellent. She is always quick to answer questions by email and phone and she has helped us configure our email sending to maximize user engagement and sales. The combination of great software and support at a reasonable price is a winning combination that every e-commerce company could and should take advantage of. My only hope is that our competition does not find out about Remarkety :)Remarkety saves us a huge amount of time because it automates email marketing based on an almost unlimited number of triggers that we can customize. It would take a huge team of people to manually send all of the different types of marketing emails on a continual basis that Remarkety automatically sends after we configure it one time in our account. Remarkety helps generate a tremendous amount of sales revenue for us while at the same time saving us a huge amount of time and money. 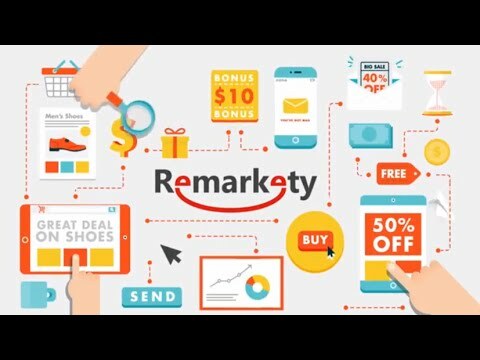 Remarkety saves us a huge amount of time because it automates email marketing based on an almost unlimited number of triggers that we can customize. It would take a huge team of people to manually send all of the different types of marketing emails on a continual basis that Remarkety automatically sends after we configure it one time in our account. Remarkety helps generate a tremendous amount of sales revenue for us while at the same time saving us a huge amount of time and money. I have not really found any serious negatives with Remarkety. The only thing I can even think of that would make it better is a few additional customizations that we would like when building emails and the ability to insert the Remarkety tracking into emails that are not sent through our Remerkety account. For example when a customer does a password reset on our site it would be nice if we could insert the Remarkety tracking into the password reset email or an order confirmation email. By using this software, i am able to gain more conversions and keep my customers up to date.It makes it easy to send out weekly newsletters to customers, both current and new. I can send automations for when people abandon their cart or browse abandonment. This really helps get people back to the site. A lot of times people who abandon their cart get a second look and do decide to buy. It's great as a tool for getting Google reviews because you can send out an automation that deals with feedback. Even going so far as to send them a link for both your Google reviews, and you're Better Business Bureau reviews. It makes it easy to send out weekly newsletters to customers, both current and new. I can send automations for when people abandon their cart or browse abandonment. This really helps get people back to the site. A lot of times people who abandon their cart get a second look and do decide to buy. It's great as a tool for getting Google reviews because you can send out an automation that deals with feedback. Even going so far as to send them a link for both your Google reviews, and you're Better Business Bureau reviews. Probably the only thing I can honestly say I wish that the software had, is that I could do custom coded Scripts. Email templates could be better designed (see Mailchimp, Aweber, etc.). Image library could use improvement. For example the ability to organize into folders. The ability to search for an image and the ability to archive images would also be very helpful. Right now, adding images to an email is the longest part of the process. No setup fees, no hidden costs, pay as you go, cancel at any time. Remarkety will help you increase customers life time value. We cover the entire customer's life cycle journey, engagement, interaction, and most importantly, conversions!!! No marketing experience? No problem! We provide our customers with a dedicated success manager that will work closely with you and your team. We also offer a full email marketing management if needed. Below are some frequently asked questions for Remarkety. Q. What type of pricing plans does Remarkety offer? Q. Who are the typical users of Remarkety? Q. What languages does Remarkety support? Q. Does Remarkety support mobile devices? Q. Does Remarkety offer an API? Yes, Remarkety has an API available for use. Q. What other apps does Remarkety integrate with? Q. What level of support does Remarkety offer? Q. Which apps is Remarkety compared to most often?